Seeing this picture reminds me of my youth and how time is fleeting. Makes want to relive those childhood years. What a great shot - always a fun time with bubbles. I haven't blown a bubble for years - not deliberately anyway! Lovely picture and really different. Bubbles are my go to thing for cheering myself up, even though I'm 24! 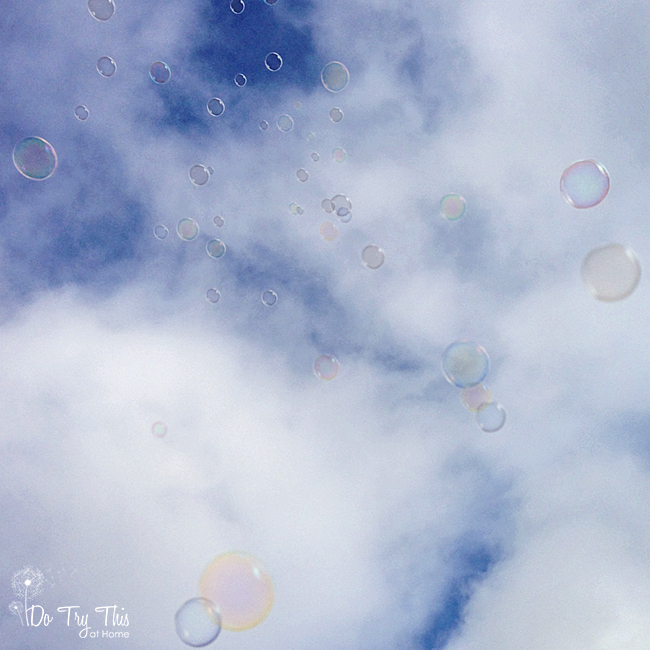 If I feel uninspired, then blowing bubbles makes me look to the sky and think out of the box. We all love the bubbles, in the air or out of the bottle!!! Bubbles are great. They are a great stress relief.